I am hugely priveleged to be involved in organising Poetry Alight and choosing the guest poets. The task is not as easy as you might think. Firstly, I travel quite extensively and selecting sixteen poets for the year, four per event held quarterly, is no easy task. As the event has grown in prestige, so the number of distinguished poets who approach me for slots has also increased, telling an excellent poet that you are “full” on several dates is a bit daunting. Then there is the question of mix. Where possible, I like to feature two men, and two women, I also like to offer an ethnic diversity too, and aim for an alchemy which will work, purely a personal subjective, gut instinct, assessment. Making sure that you can achieve that each time takes some doing. It’s a bit like holding a party and endeavouring to ensure that all the guests will get along! 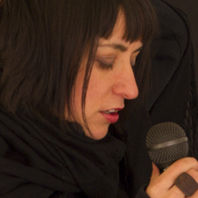 Poetry Alight aims to promote both page poetry performed, and performance poetry. The only criteria is, “Is it any good?”. Sometimes the guest poets may favour one form to the other, but if that happens I ensure that balance is redressed at the next event. I do not want Poetry Alight to have a reputation for being either ranty, shouty, performancey ( which can be good) or fine, worthy, wordy and technnically dazzling ( which can also be good). What I do want is for the audience to have enough which is familiar to them to give them pleasure, and enough which is unfamiliar to them to excite and challenge them. Current Derbyshire Poet Laureate Matt Black took inspiration from a taxi rank in an everyman piece that could have been anywhere, yet whose sense of place was a delight. Past Derbyshire Poet Laureate, River Wolton, read of her unexpected meeting with Gok Wan when she was “looking daggy” and “her shame at being ashamed”,which was both poignant, and entertained. However it was Psalm of Those who go Forth on the Day of Redundancy which packed the visceral punch. Both were consummately crafted. 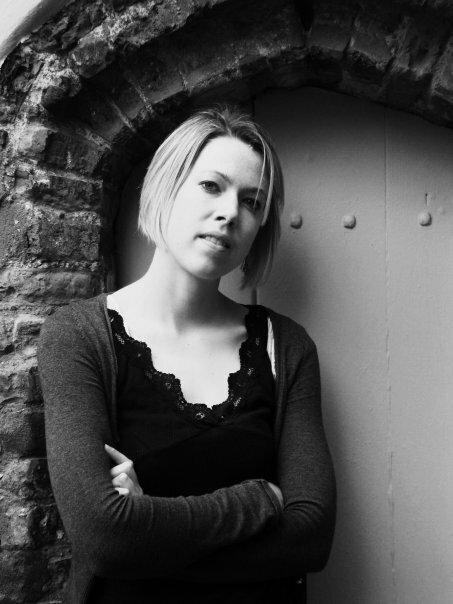 Helen Mort is a star, name-checked in all the national newspapers this year, as well as the literary publications, the esteem in which she is regarded by fellow poets and audiences alike is richly deserved. I read her “A Pint for the Ghost” , a collection about the ghosts and tall tales of pubs in Chesterfield,in one sitting, and then read it again the next day. Elisabeth Charis is fortunate. Not only is she an accomplished poet, but she also had the good fortune to be teaching in Syria as the country started to unravel offering her a treasure trove of material and inspiration.She remained safe, but her care for, and affection for, Syria is both a joy and tinged with sadness. Please note that our advance slots are always over-subscribed, all requests may not be successful. The Cafe, as well as offering coffee, teas and light refreshments is also licensed to sell alcohol and offers a range of hot food, I can personally vouch for their Cumberland sausage sandwich! The audience is encouraged to arrive early, and the Spark is ideal to enjoy a supper with friends before proceedings. The Cafe is open all day. River Wolton– Writes poetry, fiction and non-fiction. She grew up in London and lived in Sheffield for twenty years before moving to North Derbyshire. She is a recent Derbyshire Poet Laureate and works as a writing facilitator, specialising in tailor-made projects for people of all ages and backgrounds. 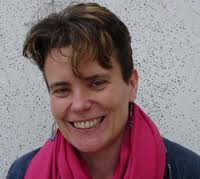 She is currently a Writer-in-Residence with Writing East Midlands and had a Hawthornden Fellowship for 2011. She is a co-author of the Route anthology of stories about mothers and daughters, Some Girls’ Mothers. River’s first full-length poetry collection, Leap was launched at Sheffield’s ‘Off The Shelf’ Festival of Writing & Reading in 2010. The Purpose of Your Visit (Smith/Doorstop 2008) was highly commended in the Poetry Business Book & Pamphlet Competition. Matt Black – is a writer and performer based in Sheffield. 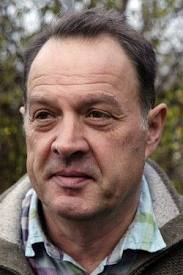 He writes poems (and occasionally fiction) for adults and children, and is a Derbyshire Poet Laureate. He enjoys commissions and collaborations with other artists, and works in all sorts of places and situations, specialising in tailor-made projects that range from the serious and educational to the crazy and sublime. His books include Swimmer (2009) and Goblin In the Fridge (2008). Elisabeth Charis– is a thinker, writer and teacher currently living in England. She has travelled extensively and lived in China, Thailand, Australia, New Zealand and, most recently, Syria where political unrest forced her to return to the UK, her blog was an irresistible first- hand account of the disintegration of a country, her poetry about that experience moving and profound. She has a first class honours degree in English Language and Literature and is a qualified teacher and currently teaches English and Creative Writing alongside writing a novel and a collection of poetry. This entry was posted in Blog and tagged Elisabeth Charis, Gary Longden, Helen Mort, Mal Dewhirst, Matt Black, Poetry, Poetry Alight, River wolton, Spark Bar Cafe. Bookmark the permalink. I saw Matt Black in Belper last week. He was so funny in his first session, I almost cried. If he ever decides to give up poetry I reckon he’d make a brilliant stand up comedian.